IMPORTANT : THIS DISTRIBUTOR HAS A 58.5MM BASE – PLEASE MAKE SURE IT WILL FIT YOUR MACHINE BEFORE PURCHASE. 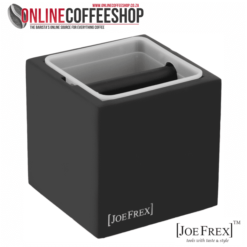 Perfect snug fit for 58mm baskets – Barista spec 58.5mm distributor. Is prepping your grinds more important than tamping ? 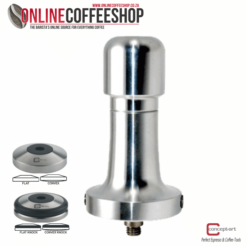 Prepare your shot before tamping with the Palm Distributor. Can be used in conjunction with any tamper but works best with the specifically designed Palm Tamper. NEW DESIGN !!! – no adjusting tools necessary to adjust the setting – we find those little things just go missing anyway. 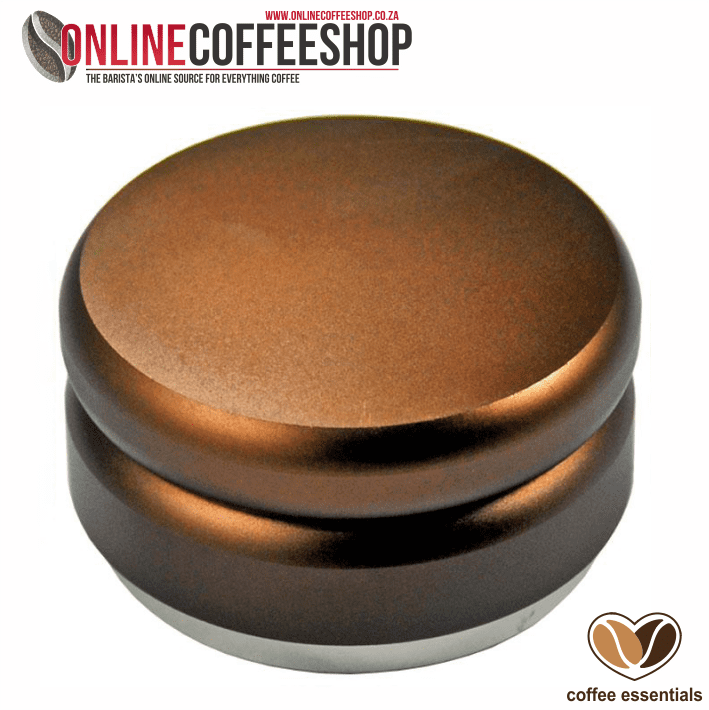 Simply place on top of your dose in your portafilter and spin in a clockwise direction to evenly and consistently distribute your coffee before tamping. 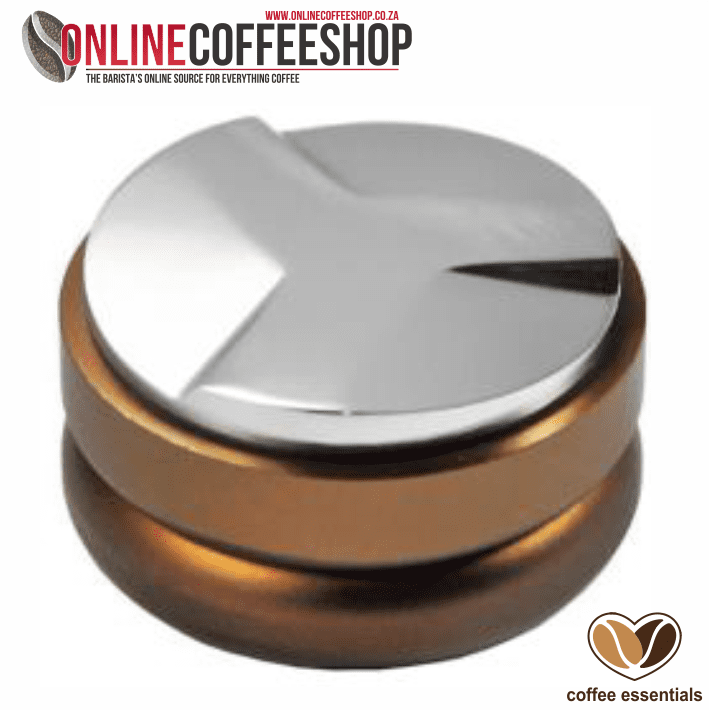 The Palm Distributor features three angled slopes that efficiently, evenly and consistently move the coffee around in a circle motion to create an even puck. No more inconsistencies between baristas. When baristas even the puck using their finger some leave a slight mound or divot in the coffee, which means they tamp down inconsistencies in the puck density. 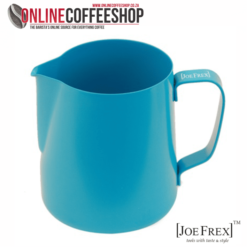 The Palm Distributor even suits those using very low doses or larger baskets and can be adjusted to suit a range of doses, depending on specific roasting styles. Less micro-channeling and channeling, improper or rushed distribution, is more likely to channel which can be disastrous to taste. Micro-channeling is also difficult to see at times and is more likely to happen with no distribution or inconsistent distribution – the Palm Distributor will remove this variable. At -+ 500g it’s a serious piece of kit. Fits the 58mm basketFits the E61 58mm basket. it worksi never thought this weird thing would make a difference. 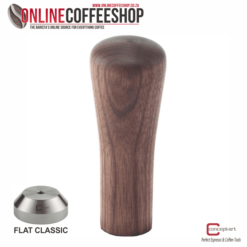 i still use my normal tamper, but i recon the palm tamper will also make a big difference. i use a bottomless portafilter so i can see how much less channeling there is. fits my basket which i thought was 58mm.